Exciting Sales Growth for GYS: Area Sales Managers Needed! Exciting Sales Growth for GYS: Area Sales Managers Needed! Exciting Sales Growth for GYS: Area Sales Managers Needed! 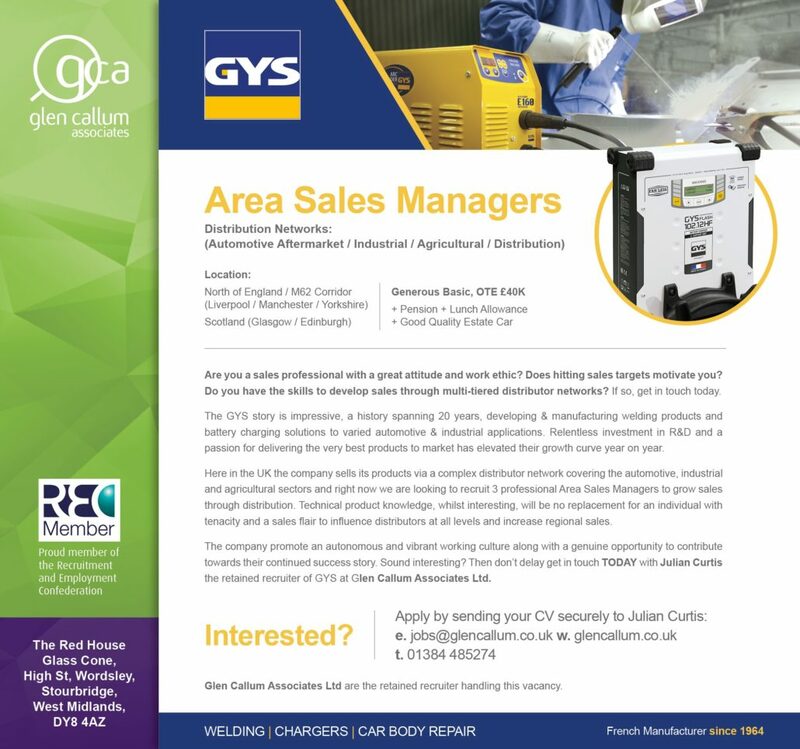 Glen Callum Associates have partnered with leading manufacturer GYS to find 3 Area Sales Managers to cover the North East, North West and Scotland. These exclusive sales roles offer a generous salary, career progression and the opportunity to work for an established and thriving company. GYS has a strong and successful 20 year history of developing and manufacturing welding products and battery charging solutions through a complex distributor network to a wide variety of applications across the automotive, agricultural, industrial and refinish sectors. Tenacity and a strong sales flair. A knowledge of technical sales within industrial tools, engineering, automotive, and agricultural distributors. A willingness to contribute towards the company growth and to be part of a committed and successful team. If you have these attributes then Julian is waiting to here from you! 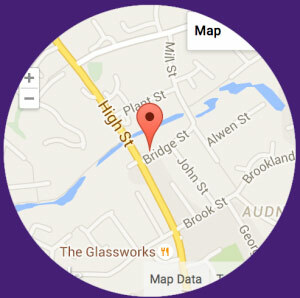 Apply for the Area Sales Manager roles by clicking the advert NOW. Call Julian Curtis on 01384 485274 today to find out more and apply NOW! https://glencallum.co.uk/wp-content/uploads/2018/11/GYS_logoColor_g.png 618 666 gcadmin https://glencallum.co.uk/wp-content/uploads/2018/10/gcalogosm.jpg gcadmin2018-11-09 15:24:222018-12-05 10:38:21Exciting Sales Growth for GYS: Area Sales Managers Needed!